Learning about and practicing different music scales is an important part of learning how to play the piano and music theory. 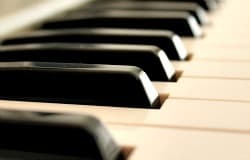 Since most music is created from some kind of a musical scale, they are also part of the basic “tools” for understanding how a piece of music is constructed. Now the good news is there are actually not so many different commonly used scales for the piano, and it doesn’t take very long to learn them either. TIP: Although you'll need a Piano Scale Book as a reference, It is always best to practice scales by heart. In this way you will be able to see the actual patterns on the keyboard, and this in turn will help you to become more secure in finding your way on the piano keyboard. How Many Music Scales Are There? There are innumerable scales all over the world. However, for playing the piano there are not so many that can be used since the pianos smallest interval is a half-step, or a semitone. In Jazz and Blues piano, you need to study many, many different scales to create a «bank» of sound-tools to use in improvisations etc. In reality however, there are much fewer than it seems! So, in essence the most common piano music scales are 13 different scale patterns. (7 Diatonic and 5 Non-Diatonic). Good news again! They are all easy to learn! 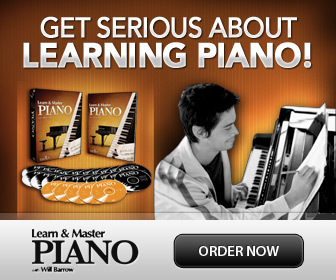 Just follow each of the links above, and you will become a “Master Piano Scale Player” in no time! Scales Bootcamp: The fastest, clearest way to get to know tour scales, and then master them.